For many of us, beauty is only about having a beautiful face. In the process of taking care of the face, we often ignore other parts of the body, like hands, feet and the neck. The lack of attention to the neck particularly stands out against the well taken care of face. Often, the neck has darker patches and is a tone darker than the face. Our neck is exposed to dust and pollution in equal measure to the face. However, we always wash only the face twice a day and tend to ignore the neck completely. This leads to the neck being a tone darker than the face in many women. If you also have the same issue, then it is time to show some attention to your neck. You can follow the remedies given here to help lighten the skin around the neck. 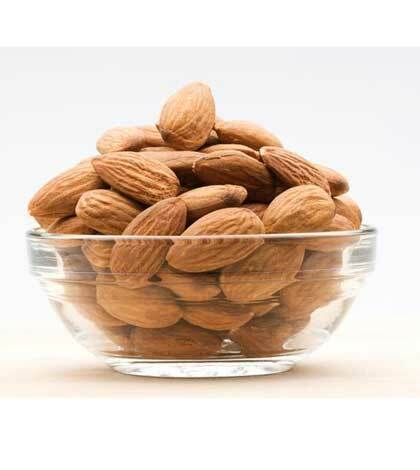 Mix almond powder with some milk and scrub it on the neck to get rid of the dead cells around the neck. Most of the discolouration is due to the accumulation of dead cells that leave the neck looking dull. Scrub the paste well in circular motions all over the neck and the jawline. Wash it off after scrubbing. Rub a slice of potato on the neck in circular motions, or better still, during the bath, apply a potato pack on the neck with potato gratings. This will help remove any pigmentation on the skin. Both gram flour and turmeric have excellent scrubbing and lightening properties. Make a paste of a tbsp of gram flour with half a teaspoon of turmeric powder and some rose water. Rub this well into the skin on the neck. Leave it for five minutes before washing it off. 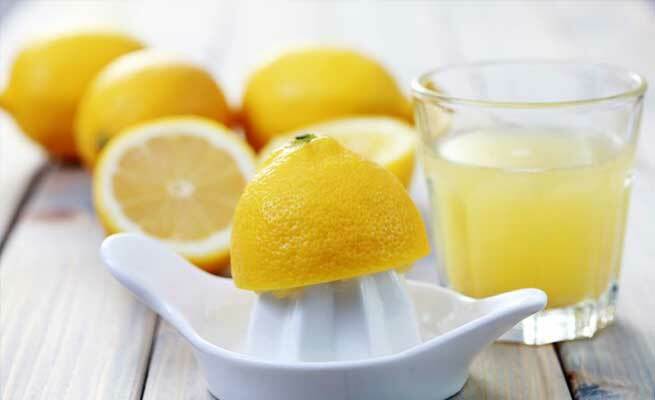 Scrub a slice of lemon on damp skin around the neck and leave for five minutes. Or better still, make a scrub with a spoon of sugar, half spoon of olive oil and half a spoon of lemon juice. Scrub your neck well with it before you wash off with soap. 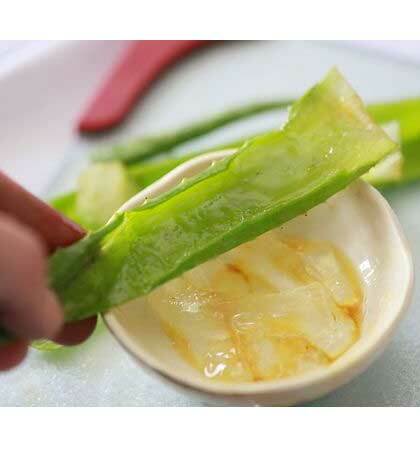 Applying aloe vera is known to reduce dark spots and skin irritation. Apply aloe vera gel on the neck, rubbing it into the skin. Wash it off after leaving it for fifteen minutes. When you are cleansing your face, do not ignore your neck. Cleanse it too in order to rid it of all the dirt it has been exposed to. Use raw milk or coconut oil to cleanse the neck for best results. The skin on the neck is very delicate. Age lines start showing on the neck if it is not well moisturized. Apply your moisturizer on the neck also when you apply it on the face. Massage your neck well with coconut oil before taking a bath. This will help you get rid of the discolouration. Do not forget your neck when you are slathering sunscreen on your face. Apply it generously on the neck also, twenty minutes before you step out in the sun.